Business analytics are the critical link between IT and the business during transformation projects. Change within the enterprise is no longer a once-in-a-while event. Enterprises are continually finding ways to re-invent themselves to enhance profitability, improve their competitive footing, and anticipate industry trends. IT must keep in step with the business, but the impact of transformations on IT landscapes — saddled with legacy systems and outdated technologies, not to mention data security and regulatory compliance requirements that are "do or die" — often mean that IT lags behind the business. To help reduce constraints and achieve better alignment, the business needs to understand the issues that IT is dealing with, especially during critical transformation phases. But to do so, IT and the business must share a common language for transformation. They must shift from viewing each project as an obstacle to understanding transformation as an opportunity that facilitates innovation and increased value. CrystalBridge accelerates blueprint creation for transformations by over 75%. We can create transformation rules and content within CrystalBridge, visualize them graphically, and share them with the business. Within CrystalBridge, we can simulate transformation outcomes so that the business can fully understand the results before execution. The SNP transformation platform allows us to automate key transformation actions during the execution phase. 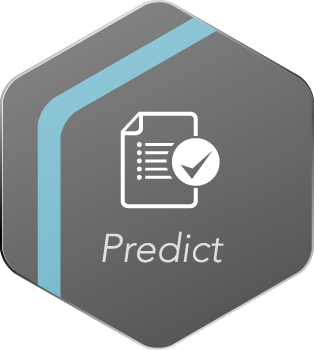 Combining SNP’s artificial intelligence and predictive analytics, you can narrow the gap between business strategy and IT execution by organizing, planning, and predicting the results of transformation projects. SAP Transformation: Automated. Efficient. Accurate. 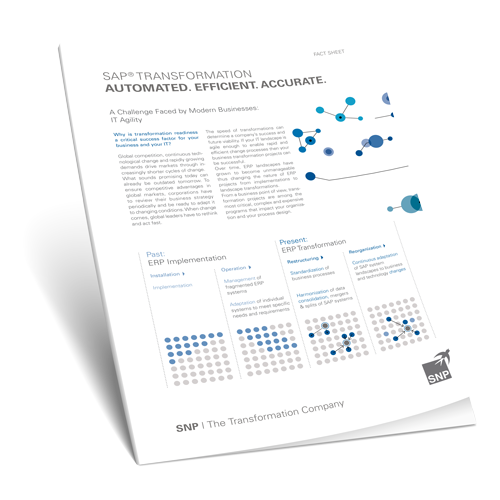 Why is transformation readiness a critical success factor for your business and IT? Over time, ERP landscapes have grown in complexity, changing the nature of ERP projects from implementations to landscape transformations. From a business point of view, transformation projects today are among the most critical, complex, and expensive programs that impact your organization and your process design.